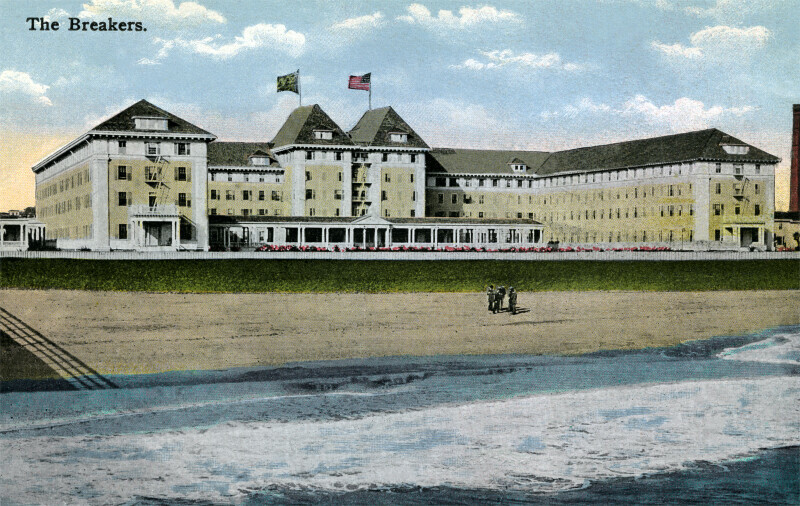 This four story building is the Breakers Hotel. The hotel has a central portion, and two wings. The hotel has a hipped roof, with two more steeply pitched roofs over part of the central portion. There are six gabled dormers visible on this side of the building. There are fire escapes for each of the wings. The entrance is marked by columns topped with a pediment, on this side of the building. There is a group of people standing on the beach.